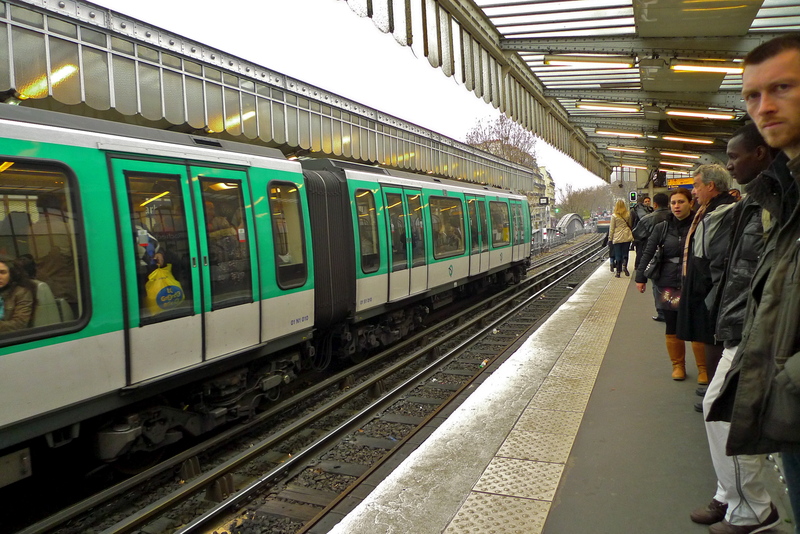 THE PARIS MÉTRO comprises 14 lines, some 300 stations and 201.8 kilometres of track. At any one time there are around 540 trains travelling on the system, and at busy times even more, carrying around 5 million passengers every day. 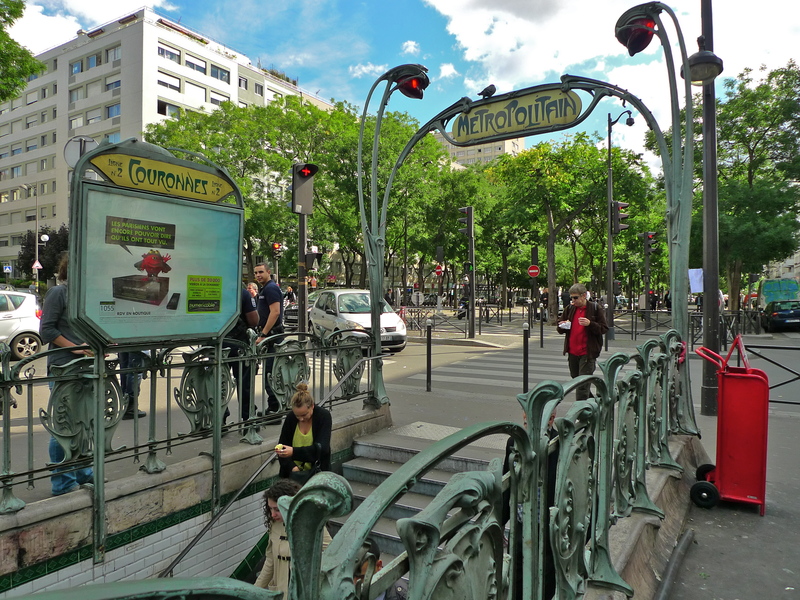 Despite the density of the traffic, the Paris Métro is considered to be one of the safest public transport systems in the world. 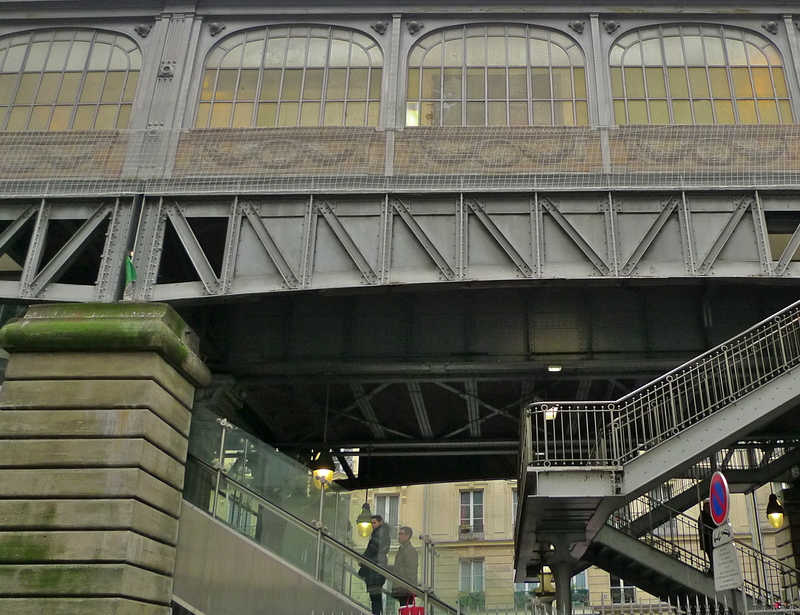 Nevertheless, there have been two major disasters on the Paris Métro, one in 1943 when an allied bombing raid blew the roof off the station at Porte Saint-Cloud killing 403 people who where sheltering there and another in 1903 when a fire killed 84 people, most of them at Couronnes station – and it is the story of the Couronnes disaster that I want to tell. 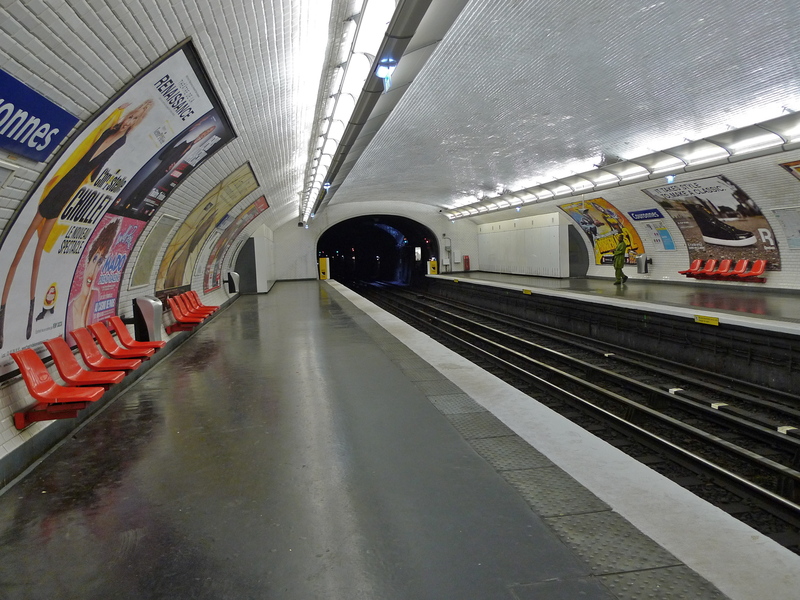 Couronnes Métro station is much like any other station on Line 2 of the Paris Métro system. 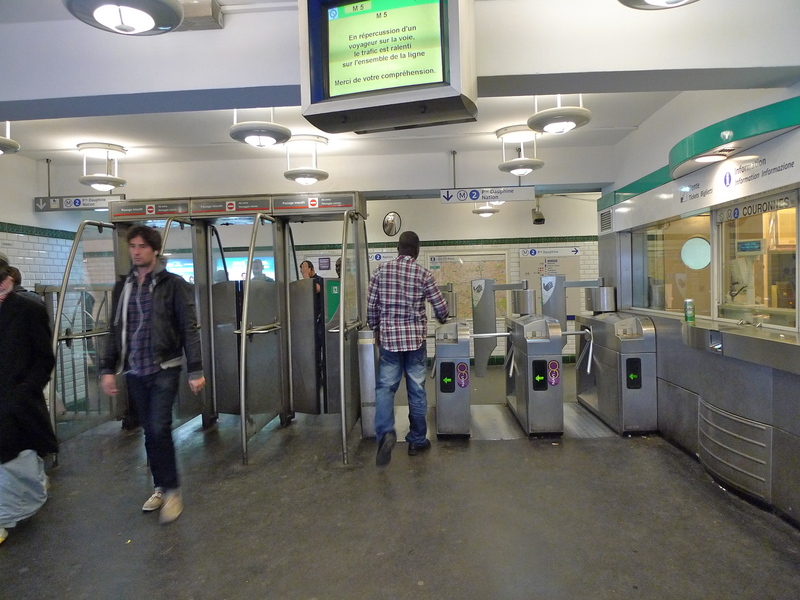 It’s a fairly busy station with a classic Hector Guimard entourage entrance leading down to the ticket hall and the entrance to the trains. At Couronnes, the trains run underground. The construction of Line 2 began in 1900. It was built in stages and, by April 1903, the Line 2 that we know today, stretching from Porte Dauphine to Nation, was completed. At 12.4 km in length, just over 2 km of the line was built on an elevated section with four stations. One of these aerial stations, Barbès-Rochechouart, or Boulevard Barbès as it was known in 1903, was where the seeds of the disaster were sown. In 1903, Métro trains were largely made of wood and operated as four-car units. At busy times, two four-car units could be coupled together to make an eight-car unit. All the power for both the four-car and eight-car units was routed through the front car via shoes that connected the motor to the ‘live’ rail. 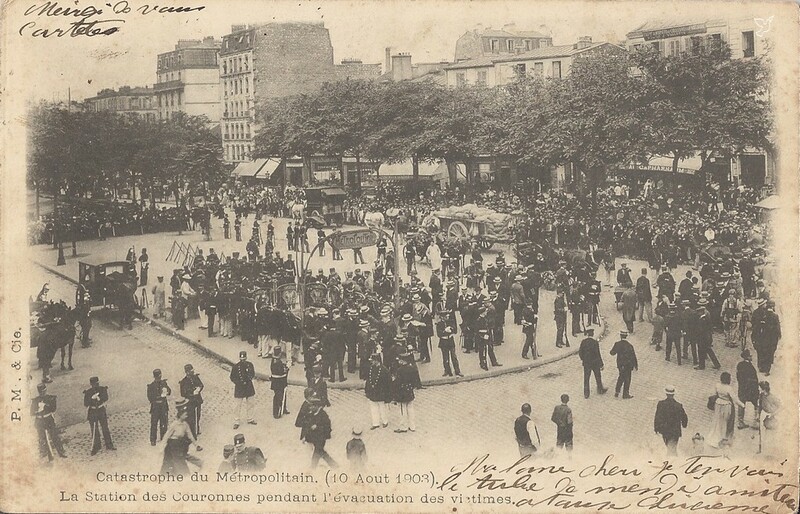 At just before 7.00 pm on the evening of Monday, 10th August, 1903, just a little over four months after the completion of Line 2, a train entered Boulevard Barbès station with heavy smoke billowing from one of the motors of the front car. The passengers were evacuated from the train onto the platform, the power to the motor was disconnected by raising the shoes, and the burning subsided. With the urgent need to clear the line at Boulevard Barbès and probably against a chorus of frustrated passengers anxious to be on their way, the staff decided to move the train. They reconnected the power and allowed the train to descend into the tunnel ahead. What they hadn’t realised was that the fire was not simply a case of the train motor overheating it was in fact a short circuit which was bound to cause further trouble. And so it proved. The burning returned although the train made it as far as the station Combat (now called Colonel Fabian) before the driver stopped for help. The power was once again disconnected and the burning subsided but when the power was reconnected it began again. It became clear that the only way to move the train any further was to use another train to push it. Meanwhile, the passengers from the stricken train were still at the Boulevard Barbès station. Presently, a four-car train arrived and the passengers piled on. This train took them as far as the Rue d’Allemagne (now called Jaures) station where they again disembarked. As their now empty train moved on to Combat to join up with the stricken train another four-car train arrived at the Rue d’Allemagne and the frustrated passengers boarded that already overcrowded train. Up ahead, the stricken train was being pushed by the empty four-car train. This combination was being driven by the motor in the four-car train at the rear but the short-circuited motor on the stricken train was still live and by now burning again. The combination of trains arrived at Couronnes and the following train complete with passengers was close on its heels. The motor on the leading train combination was by this time well on fire but instead of continuing into the tunnel ahead, the driver stopped the train halfway along the platform. The train with the passengers pulled up behind. The passengers were once again told to get off their train. Understandably perhaps, their frustration boiled over and some passengers refused to get off whilst others began an altercation with the staff – but by then it was too late. 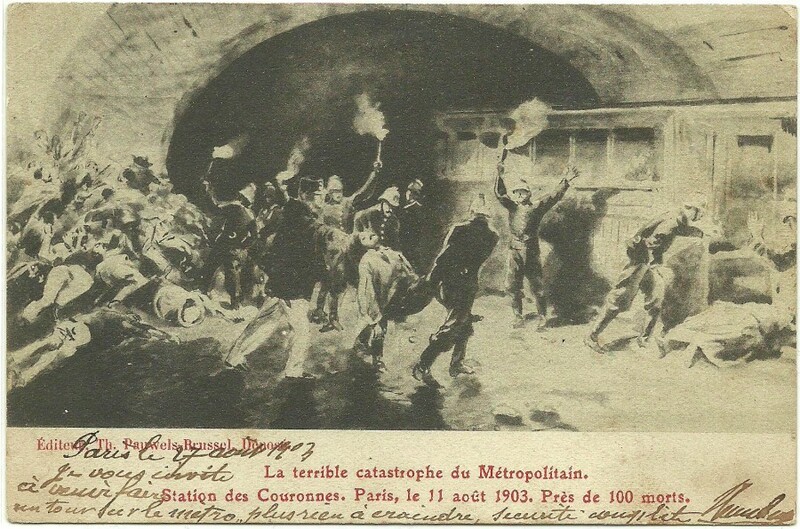 The stricken train moved off into the tunnel ahead and travelled to the next station, Ménilmontant, by which time the fire had got out of control. The fire destroyed the electrical circuit supplying the Couronnes station lighting and the station was plunged into darkness just as a cloud of dense black smoke appeared out of the tunnel ahead. Chaos ensued as people scrambled for the exits which many couldn’t find. Some survived but many did not. In total, eighty-four people died, seven at Ménilmontant and the rest at Couronnes. Carte Postale Ancienne. Source CPArama. The news of the disaster was greeted with shock and crowds gathered as the bodies of the victims were evacuated from the stricken station. Evacuating the bodies – Carte Postale Ancienne. Source CPArama. Within days of the disaster, measures were put in place to ensure that events like this could never happen again. As I said at the beginning, the Paris Métro today is considered to be one of the safest public transport systems in the world. Long may it continue.